This brunch spot has been trending on many social media outlet for a while. Decided to tried it and went on a Saturday morning. Have to wait more than an hour for a group of five. The place it self was cute and appealing but not too big. It would be hard to bring large group of people. There is an outside and inside seatings. 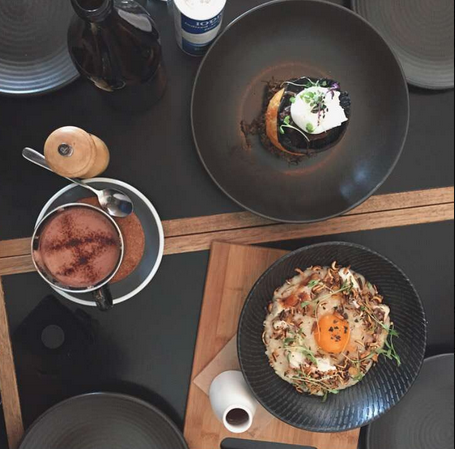 We ordered Potato hash and mushroom duxelle with roasted mushroom, a poached egg and caramelised onion ($18), Corn fritters with kasundi, haloumi, poached eggs and a coriander and mizuna salad ($18), Southern pulled pork burger with slaw and chipotle mayo served with parmesan french fries ($18). Overall everything just okay, not as outstanding I imagined it would be. The potato hash dish are perfect for mushroom lovers even though the lack of taste, a lot more flavouring needed. We have to add plenty of salt and pepper to it. The potato hash it self was crunchy outside and have unique texture similar to potato cake inside. The second time visiting this place it's on Wednesday morning. We ordered the Barramundi porridge which was tasty, a great fushion of western and asian cuisine. No fishy smell, the porridge was full of flavours and warm. The egg add significant flavours to the dish. 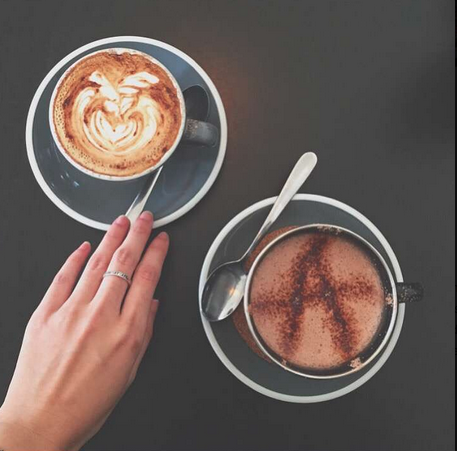 The coffee was just okay, the hot chocolate with "A" art on top of it was appealing, photogenic and good marketing point of view. Been here twice and both of them been an okay experience. Both we have to wait for a long time for our foods. Both times the staff was in a hurry even though the 2nd experience the places was barely full.